Smart Care Equipment Solutions announces the promotion of Gyner Ozgul to Senior Vice President of Operations. 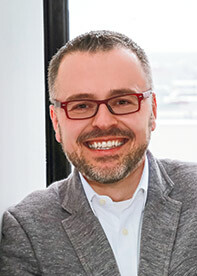 This promotion recognizes Ozgul’s strong contributions and leadership within Smart Care. This new role assumes the responsibility for Smart Care’s Operations teams, which include the following functions: Service, Safety, Technical Training and Support, IT, Customer Care, Customer Success, Supply Chain, Fleet and OEM Business Development. Gyner’s imprint on Smart Care has been growing for several years and is reflected in an increasing set of responsibilities since joining the business as a Service Manager in 2003.